(CNN) - Millions of people unaccustomed to heavy rain were drenched Tuesday by the remnants of Tropical Depression Rosa. The National Weather Service in Phoenix said that city had its eighth-wettest day ever with 2.36 inches of rain. Sandra Kotzambasis posted a video on Twitter that showed cars driving through north Phoenix with several inches of water covering the road. "This is what I discovered as I tried to get to work," she wrote. " 'Lake Tatum,' just north of Shea (Boulevard). Needless to say, I am working from home today." The Arizona Department of Public Safety responded to more than 80 crashes in the metro Phoenix area between 5 a.m. and noon, officials said. One area of Arizona received 3.64 inches, the weather service said. The storm had already dumped torrential rainfall on Mexico's Baja California and created a bizarre sight in the desert: flooded roads. 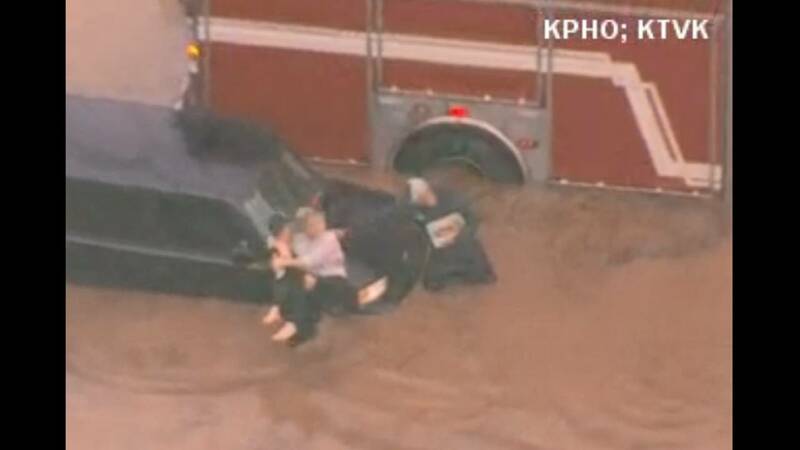 Firefighters had to rescue motorists from their flooded vehicles, CNN affiliate KTVK reported. The Phoenix-based station said at least eight people, including children, were helped from their cars. Video showed one compact car with water almost to the top of the wheel wells and people climbing through windows. In Scottsdale, about 10 miles northeast of downtown Phoenix, Instagram user John McClean posted a video of water rushing across a road over a curb toward a pond. Given Arizona's terrain, heavy rainfall poses an unusual set of problems. The National Weather Service's office in Flagstaff warned residents to avoid the state's famous slot canyons and any campsite near creeks. Forecasters stressed that "just because it's not raining where you are doesn't mean it won't flood." "Persistent showers and storms in a highly anomalous moist environment will likely lead to localized flash flooding this evening," the national Weather Prediction Center said Tuesday as the storm moved north. 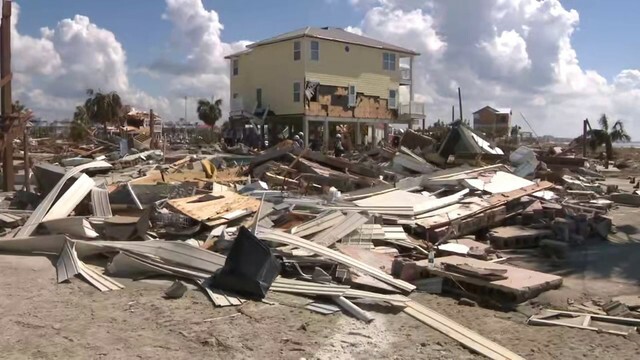 Research indicates climate change contributes to tropical storms getting "more intense, bigger and longer-lasting, thereby increasing their potential for damage," said Kevin Trenberth, senior scientist at the National Center for Atmospheric Research. While there might not be a direct link between climate change and the recent increase of severe storms in the Southwest, "it is possible that this could be a side effect of climate change," Norman said. "Warmer oceans are allowing eastern Pacific storms to reach higher latitudes," he said. "This was not the case earlier. It was quite rare for an eastern Pacific storm to even reach Baja California, and this is now becoming more common."